Thanks to the original uploaders at ChessIndia! Thank you ChessCaissa, is it possible to re-upload? An introduction to chess for beginners and intermediate-level chess players. The author begins by describing the game's fundamentals and then reveals his four principles of play - space, time, force and pawn structure. Combinations are the central element in chess; they make the game so magical and captivating. The beautiful point of sacrificing a queen, the strongest piece, in order to checkmate with a lowly pawn brings a smile of joy to all chess lovers. 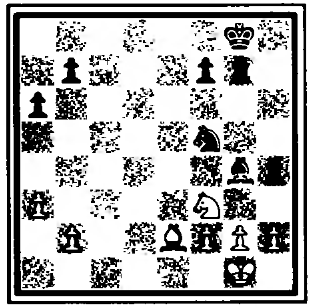 Virtually all chess games possess a combination, either one hidden in the shadows of analysis carefully avoided or one that provides a decisive blow.Winning Chess Combinations is a unique work that doesn't merely repeat the wonderfully rich and vast numbers of combinations, asking readers to solve a particular diagrammed position; it is a work that is far more realistic. A combination involves a sacrifice upsetting the balance of forces, but will it work or tragically boomerang? The reader is invited to solve this critical question by identifying the advantages that a specific position holds which might make the combination successful.Winning Chess Combinations is the seventh in Yasser Seirawan's highly acclaimed Winning Chess series - PROBABLY THE BEST-SELLING SERIES OF CHESS BOOKS EVER PUBLISHED. Start every game with confidence! The two greatest challenges for beginning chess players are not only to survive the openings phase, but also to choose appropriate attack and defence formations in the process. Winning Chess Openings shows players how to do both. In Yasser Seirawan's entertaining, easy-to-follow style, they are shown formations that can be used with other White or Black pieces. Learn sure-fire tactics and combinations from one of the world's top chess players.The essential guide to the use of tactics, the watchdogs of strategy that take advantage of short-term opportunities to trap or ambush an opponent and change the course of a game in a single move. International Grandmaster Yasser Seirawan shows chess players how to put the tactics of the world's chess legends to work for them. Choose from the double attack, the pin, the skewer, deflection, the d?cor, x-rays, windmills, and many more time-tested tactics. hi chess friends, just wondering if anyone has a higher quality edition of "Winning Chess Tactics" in pdf that can please be shared? the one very kindly shared by Gmde has some difficult to see positions? All Links are working perfectly. Thank you Gmde.